Maybe I missed something, but the cards this week were pretty boring all things considered. Plenty of rounds in the 80’s, but most were just pars and bogeys and doubles and blah. No one went too low either, so tough to go that route. With that in mind, I took circumstances into consideration when selecting Ryan Palmer and Chesson Hadley’s Sunday bestball for the Card of the Week. They look like a formidable bestball team right? Since this week is the final week to slip into the top 50 in the world golf rankings, thereby making the Masters field, there was a little extra on the line for a few of the players near the top of the leaderboard Sunday. 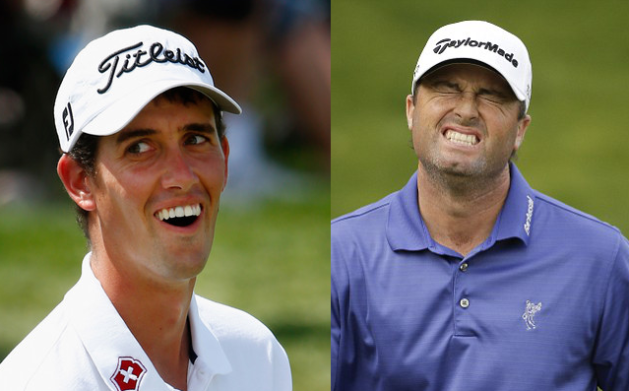 Two of these players were Ryan Palmer and Chesson Hadley. They didn’t need spectacular rounds; after all was said and done 70’s probably would have got both players into the field at Augusta. Tragically, almost comically, both players reached that number on hole 16. So, let’s take the sting out of it a little bit and make the Card of the Week their round as a bestball squadron. Huh. Well, I guess it didn’t help much. The tandem went 38-38-76 with two birdies. That number would have been good enough for t55 on Sunday, with only 12 players (not including themselves) shooting worse. Woof. Both are solid players have solid seasons and should bounce back from this, but man, those are a couple of seriously unclutch rounds.